Whether it’s glamorous photos of spiced coconut spinach, the scoop on savasana, or motivation for marathon training, they’ve got it covered. This year, follow these 60 blogs for help staying fit, healthy, and happy in the real world. 1. Fit-Bottomed Girls Take that, Queen: The Fit-Bottomed Girls offer advice on fitness and nutrition for women. Dynamic duo Jennipher Walters and Erin Whitehead launched the site in 2007; today the blog features two more women who share clever insights on everything from sports bras to Chipotle. And anyone that can fit a review of The Biggest Loser and an analysis of the fitness industry’s flaws in the same place is OK by us. 2. NerdFitness You are what you read, but here that might mean you’re a little healthier and fitter. Steve Kamb wants readers to make daily progress toward getting in shape. Obsessed with superheroes (Lego people appear regularly on the site), Steve gives advice that helps normal folks work out, eat right, and gain self-confidence. 3. Fitnessista This site makes fitness approachable with tips from personal trainer and nutritionist Gina. Posts range from photos of Gina’s baby girl and fluffy dog to suggestions for using the “scary cable pulley thing” at the gym. Readers can check in daily for recipes, new workout ideas, and honest accounts of real life. 4. Well + Good NYC Purple cauliflower boosts happiness. Some beauty products contain gluten. 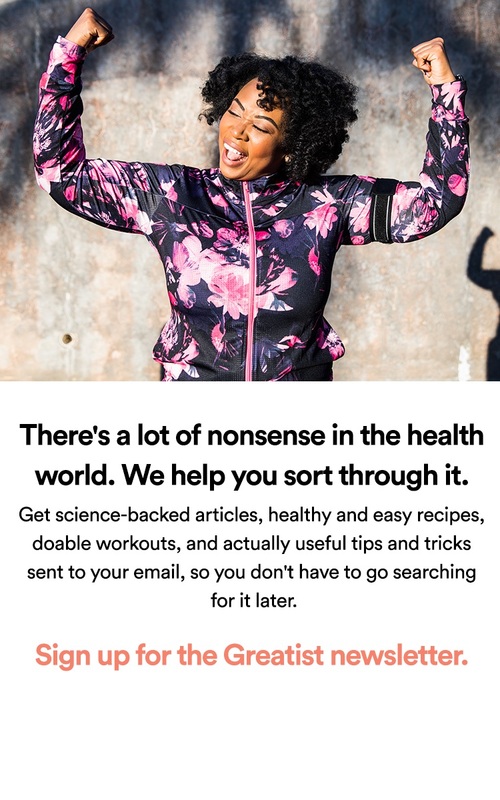 The team at Well + Good answers the health questions you didn’t know you had. The site helps New Yorkers get fit in the city, but readers anywhere can get the scoop on trends like juice cleanses and boutique fitness. 5. The New York Times Well Blog If you don’t read any other source of health news, it’s just as Well. Tara Parker-Pope’s health column for The New York Times doesn’t miss a beat— whether it’s new research on heart health or the low-down on treating exercise injuries. Pope’s a science journalist and author, and the Well column features insights from her, as well as other bloggers and medical experts. 6. GOOD Health Good crosses the globe to find the most compelling health stories around, from healthcare technology in Kenya to the history of Plan B in the USA. The site features news and opinion from smart, edgy columnists and infographics on big issues like marijuana legalization. 7. Dr. Weil An advocate of “integrative medicine,” Dr. Andrew Weil runs on a blog on every aspect of healthy living. It’s easy to implement his daily tips, like drinking cherry juice to sleep better and exercising to prevent migraines. A lot of information’s geared toward the older crowd, but even youngins can benefit from his advice. 8. TIME Healthland As exciting as Candy Land and Disney Land, Time’s Healthland is the go-to spot for the latest and most interesting findings in health and fitness. The blog covers health news (does stress shrink the brain? ), and analyzes trends like American drinking habits. 10. The Edible Perspective This resource of ridiculously appetizing recipes puts a humanitarian, artsy spin on traditional food blogging. A recent graduate of architecture school, blogger Ashley takes drool-worthy photos of the recipes she features. It’s hard to believe the banana breakfast cookie and chocolate avocado cake are nutritious, but all the recipes here are healthy and vegetarian— and many are also vegan and/or gluten-free. 11. Healthy Food for Living Boston native Lauren gets creative with recipes like avocado and strawberry grilled cheese and peanut butter and banana breakfast polenta. If the photos alone don’t make readers want to lick the computer screen, many posts also feature nutritional information that proves these recipes are nutritious ways to satisfy those tastebuds. 12. Carrots ’n Cake Blogger Tina’s philosophy is about staying happy and healthy— not about diet-crazed restriction. The author of a book by the same name as the blog, Tina posts daily updates on her personal life (that’s how we found out about her adorable pup Murphy) and features easy-to-prepare recipes like gingerbread smoothies and apple omelets. 13. Kath Eats Real Food This food blog is the real deal: Kath Younger is a Virginia-based dietician who developed a passion for healthy eating through her struggles with weight loss. Her upbeat posts about trying new restaurants (kudos to anyone who takes a picture before they take a bite of any meal) and loving oatmeal make readers as excited about nutrition and healthy living as she is. 14. Mark’s Daily Apple An apple a day, plus a visit to this Paleo guide from Mark Sisson, may just keep the doctor away. Sisson (who also made Greatist’s list of the most influential people in health and fitness), author of The Primal Blueprint Cookbook, writes a lot about nutrition and the evolution of the human diet. The blog also features some of his opinions on recent scientific research— and the guy knows his stuff. 15. The IF Life The I and F in “IF” don’t just stand for “Intermittent Fasting.” In this blog, “2-meal Mike” writes about his life of on-and-off fasting combined with “intensity fitness” and “instant freedom.” His optimism combined with tips and hacks show readers they can get fit and happy with some knowledge and hard work. 16. Sodium Girl Salt may be kryptonite for Jessica Goldman (aka Sodium Girl), but that hasn’t stopped her from living a healthy lifestyle. Goldman suffers from lupus and started her blog to show readers it’s possible to meet medical needs without disappointing the taste buds. Her delicious recipes (yes, the carrot and coconut donuts are salt-free) and nutrition advice will charm any reader into a second visit. 17. Simply Gluten-Free Carol Kicinski loves biscotti. And cheesecake. And flatbread. And she makes them all gluten-free. Kicinski (also a cookbook author) offers recipes and advice for dealing with gluten intolerance, like which flours to use for baking and how to travel without starving. 18. Choosing Raw Gena Hamshaw gets it. A nutritionist and a pre-med student, she’s into healthy eating. For her, that means a lot of vegan and raw foods, and her blog helps readers find meals that are tasty and nutritious— like almond and chickpea bread and mung bean pancakes. In non-recipe posts, she dishes about real life, like trying awesome new restaurants and spending time with friends. 19. The Paleo Solution On The Paleo Solution, Robb Wolf (another of our top influencers!) and other writers explore all things Paleo, including advice, recipes, and scientific research. (Wolf’s a former research biochemist.) Download the podcasts in his Paleo Solution series for some quick tips. 20. Peas and Thank You If the photos of little girls with ice cream smeared on their faces don’t melt your heart, the “recipeas” for chocolate pudding pie and tofu dippers will. This cookbook author and mom of two shares her adventures in a vegetarian, family-friendly lifestyle (with lots of gluten-free ideas, too). Her step-by-step instructions for cooking and baking make healthy eating quite… appealing. 22. The Allergic Kid Everyone’s parents should be as innovative and determined as Libby, whose son has been diagnosed with allergies to nuts, shellfish, eggs, dairy, and meat. The blog inspires readers to get cooking, with recipes for everything from crockpot curried chicken to vegan mac ’n cheese. Other posts cover allergy topics in the news and advice on reading food labels. 23. Stay at Stove Dad An editor at The New Yorker, a foodie, and a dad, John Donohue makes healthy eating a priority in his family. The author of the bestselling cookbook Man With a Pan, Donohue blogs about (and illustrates!) his experiences whipping up fancy feasts like four fish cioppino and messier meals like mashed-potato pancakes. He’s also got adult-only insights on purchasing wine and splitting up cooking responsibilities. 24. This Mama Cooks! Anne-Marie Nichols is one hot mama— though she occasionally features cold concoctions like salmon, blueberry, and lemon salad. Whether her readers need ideas for holiday party appetizers or want to share their favorite guacamole recipes, Nichols has got healthy family eating totally covered. 25. 101 Cookbooks There’s nothing not to love about this vegetarian recipe blog, from mouthwatering photos of roasted winter squash salad to super-easy preparation tips for macaroons. Photographer and cookbook author Heidi Swanson can convert anyone to vegetarianism with her inventive (not to mention gorgeous) recipes. 26. Kitchen Corners Blogger Da brings readers new ideas about cooking and nutrition from her travels around the world. Her photos of rainbow cake and poke salad belong better in an art museum than in a cookbook, and every recipe’s accompanied by a true tale from the kitchen. 27. Simply Scratch Laurie McNamara’s got an itch for fresh, healthy cooking. Her close-up photos convey the powdery texture of flour and the sound of olive oil sizzling in a pan. Check out the double dark chocolate Merlot cookie recipe for a taste of love at first sight. 28. Sprouted Kitchen Sara Forte’s passion for healthy cuisine comes through in her blog on vegetarian eats. In breathtaking photos, she captures the beauty of basil and cauliflower, inspiring even meat lovers to try their hand at dishes like crusted butternut squash and plum tarts. 29. EatLiveRun A culinary school graduate, food writer, and former chef, blogger Jenna knows food. Her exquisite photography shows appreciation for something as simple as spaghetti and veggies, though she’s also partial to tasty treats like white chocolate peppermint milkshakes. The best part is she knows the value of staying active, whether that means running, walking, or— her personal passion— trekking across the globe. 32. iRunFar Nope, this isn’t a fancy Apple app— but Steve Jobs would be proud. Focusing mainly on ultra-marathoners and trail runners, iRunFar provides gear reviews, running news, race reports, interviews, and more. I mean, who wouldn’t want to hear a man’s story about his 100K run? 33. Complete Running Need some inspiration? How about injury-prevention tips? Looking for a database with hundreds of other running blogs? Looks like “Complete Running” isn’t lying— this site’s got it all when it comes to covering the sport. 34. Stumptuous C’mon, life is funny. And while strength training may not seem like something to laugh about, Stumptuous’ light-hearted content for the novice bodybuilder makes any dumbbell seem way less intimidating. For them, it’s all about good nutrition, correct form, and ditching that “snazzy and chic” gym bag. 35. Roman Fitness Systems John Romaniello hates shirts, loves video games, and says he’s slightly less badass than Samuel L. Jackson. The founder of Roman Fitness, Romaniello’s a personal trainer also ranked on Greatist’s list of the 100 most influential people in health and fitness. But there’s still a place here for readers who think a six-pack is what they drank last night: The site’s got top-notch info on staying happy and the latest crazes in nutrition and workout efficiency. 36. Zen to Fitness If there’s time to update a Facebook status, there’s time to read a post (or two) on this site, whose articles take about five minutes each to read. Posts from main blogger Chris and guest contributors offer (sometimes snarky) advice on eating habits, solo workouts, and staying positive. 37. Jason Ferrugia’s Renegade Strength and Conditioning Here’s another featured blogger from our list of the most influential people in health and fitness. A trainer who runs his own business, Renegade Fitness, Ferrugia focuses on pumping people up— with empowering stories and strength training tips. And he's not afraid to show his soft side, either: Recent blog posts reveal how a career in fitness training saved him from an emotional breakdown. 38. MizFitOnline The name’s a warning: Carla Birnberg is not the typical fitness professional. She’s a bodybuilder, personal trainer, writer, and mom with a quirky sense of humor and opinions on all things fitness. The blog lets readers get to know Birnberg personally, with homemade videos (check out “Sh*t that Flaky Fitness Freaks Say” for an ab-strengthening laugh) and anecdotes about her family. 39. YogaMint Kundalini might sound like a kind of pasta, but in fact it’s the type of yoga the folks at YogaMint practice. Blog posts, or “mints,” won’t give you fresh breath— just fresh takes on yoga poses, ways to relax, love, and friendship. 40. Daily Cup of Yoga For night owls, it’s a cup o’Joe; for Ricky Martin, it’s the cup of life. Blogger Brian uses the daily cup to share his personal experiences learning yoga. Posts range from a guide to using yoga nidra for sleep to inspirational snippets of poetry. 41. The Everything Yoga Blog Diane DeGiorgio Cesa believes yoga can relax, relieve pain, and teach people about their bodies. A yoga therapist, she blogs about applying the principles of yoga to daily life— whether that means learning to speak up or laughing off mistakes. 42. Lululemon Blog A community of bloggers at Lululemon share thoughts on goal-setting, chai tea, and the best excuses for not going to yoga class. The blog even features an "Ask a Yogi" section, where readers can submit those queries they just couldn’t ask during the last yoga sesh. Check out "S*it Yogis Say" to learn how to turn someone off from downward dog. 43. Yoga Dork The bloggers at YogaDork live, eat, and breathe yoga. If there’s a story on a yoga burglar or the world’s oldest yoga teacher, they’ll find it. Daily posts feature musings on yoga injuries, apps for learning yoga, and celeb yogis. 44. Roni's Weigh Don’t be fooled by the last name: Roni Noone is definitely someone. Founder of SkinnyMinnyMedia and author of GreenLiteBites, Noone uses her personal struggles with weight loss to help others with similar issues. Her posts range from motivational quotes to her opinions on social media. 45. Cheryl Forberg Bestselling author and chef Cheryl Forberg was the nutritionist on NBC’s reality TV show The Biggest Loser. But there’s no drama involved in reading her blog, where she writes about everything from mindful eating to diet tips for travelers. 46. The Token Fat Girl Lorrie Fenn struggled with a binge eating disorder and worked hard to finally achieve a healthy lifestyle. Through her blog, she helps other people cope with eating issues with recipes, reviews, and personal stories. She even shares her own food journal and thoughts on her progress. 47. A Merry Life Blogger Mary takes readers along on her journey toward health and fitness. From her home in New Zealand, she blogs daily about the realities of weight loss: avoiding eating for comfort, healthy food shopping, and navigating the gym. She’s also got an adventurous side— root for Mary as she trains for marathons, bungee jumps, and kayaks! 48. Fitville Lee looks for inspiration everywhere, from famous quotes to cheesy comics. On her blog, she shares personal health goals, favorite beauty products, and adventures trying new kinds of “orange foods.” The site inspires readers to approach weight loss like she does, one step at a time. 49. The Happiness Project Grinches withstanding, Gretchen Rubin’s feel-good goal applies to everyone. The author of the bestselling book, The Happiness Project, Rubin made it to our list of the most influential people in health and fitness. She posts daily with practical advice on topics like clearing clutter, achieving ambitions, and finding love. This year’s challenge is (take a wild guess) to make 2012 a happier year— it’s harder than it looks, so start reading! 51. Zen Habits Leo Babauta, author of several self-help books, runs this blog on all things peace and happiness. Every post features simple steps readers can take to change bad habits, stop overeating, and start exercising. Babauta says it’s as simple as taking time to breathe— so quit suffocating and check out his tips. 52. Marc and Angel For those who love reading lists, couple Marc and Angel share practical tips and tricks to improve our fitness, health, and happiness. From “28 Ways to Stop Complicating Your Life” to “30 Things to Start Doing for Yourself,” this wise duo provides readers with a hefty breadth of general self improvement advice. 53. Lifehacker The idea is simple: Get stuff done. Lifehacker’s got practical solutions to common problems, from advice on computer protection to tips on getting better sleep. Recent insights include: "Don’t pee on a jellyfish sting" and "use a hollow orange as a candle." The ten-step solution to unrequited love? Who knows, they might tackle that next. 54. Healthy Is Always Better Hailing from the Netherlands, the voice behind this blog gives thoughtful advice on healthy eating, inspirational quotes, and workout tips. Oh, did we mention she’s 15 years old? Wise beyond her years. 55. Fit is the New Beautiful This New Zealand teen blogs about it all: motivational mantras, nutrition advice, and personal “things I’ve learned” posts that help others stay their happiest and healthiest selves. 56. Fitness Treats Elise hits the nail on the head when it comes to living a healthy, balanced life. What’s better than a fire-burning six-minute leg workout followed by a recipe for peanut butter cookies (made with apples and protein powder, mind you!)? Check out her Q&A sections where readers chime in with different health and fitness inquiries. 57. Knowing Nutrition Get a boost of positivity and head to this Tumblr for a breath of fresh and fun wellness advice. Striving to spread her health knowledge, Tracey shares a range of motivational quotes, infographics, and articles, while answering health questions from readers. 58. Tara Stiles Eats Say om and yum with this blog on yoga, healthy eating, and mindful living. Tara Stiles, author of SlimCalmSexy (and Deepak Chopa’s yoga instructor), documents her daily life with photos of healthy meals, short yoga videos, and bits of inspiration. 59. Motivation Into Habit Inspired by her own weight-loss journey, this blogger answers anonymous questions and posts inspirational photos that will motivate anyone who wants to shed those pesky pounds the smart, healthy way. 60. 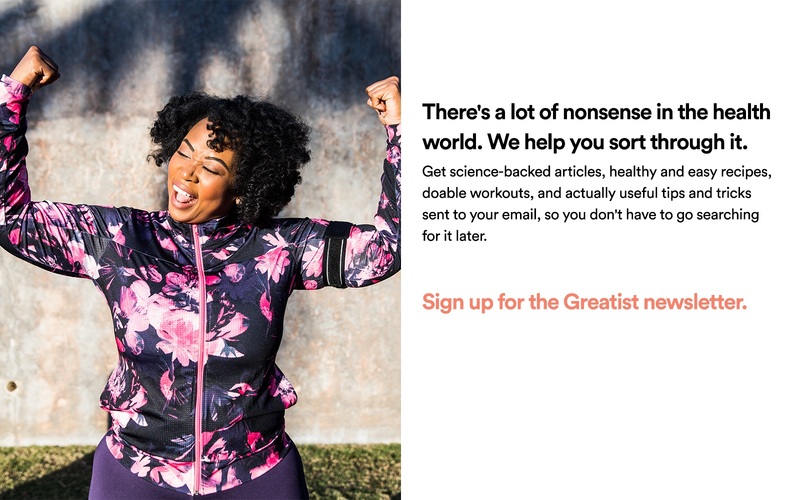 Greatist Offering the best, most approachable, easily digestible advice for staying fit, healthy, and happy. All done with a little humor, a lotta' research, and even more passion.